This year the Hot Rod Power Tour introduced the Sponsors Shootout for manufacturers to participate in featuring drag racing, auto crossing and the long haul road trip all without changing tires or swapping parts on the vehicles. Scott thought this would be a great time to showcase the new car they just put together. 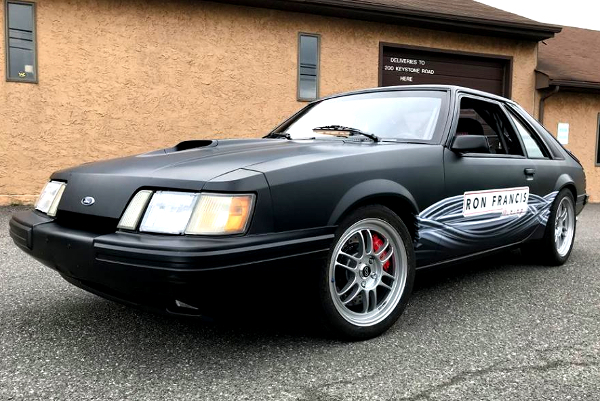 The Ron Francis Wiring team built a 1984 Mustang SVO and put a Coyote engine in it. After developing the engine harness for their customer base they decided to keep an extra for themselves…and build a demo car with other fun items from the Ron Francis catalog! He specifically went fairly “minimalist” on the interior, selected the working and control components that were needed to make everything work nicely, and then ditched the rest. As you’ll hear in the interview, the SVO ended up doing very well in the Sponsors Shootout….despite fighting car with more tire patch and traction control. Plus, he made 30mpg on the drive and had a ball doing it! 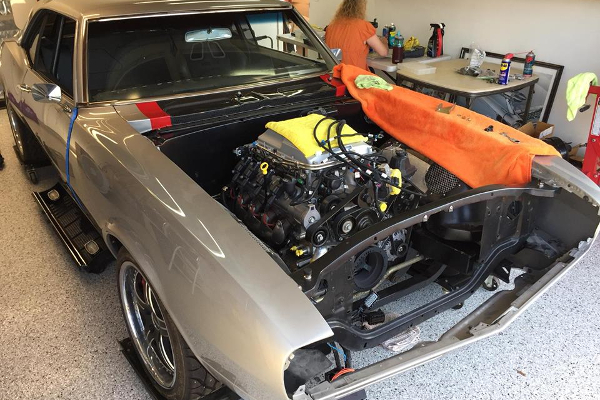 I did also ask Scott about wire harness packages for my ’69 Charger, specifically because the original “modified” harness I have in the car now is a but crusty, aabd also because I’m adding more components into the system such as fuel injection that require more demand on the electrical system overall. He pointed out that the old original harnesses were built for 30-40 amp alternators and the newer systems are 75 amps plus. 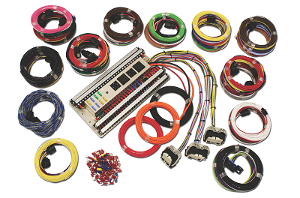 The old amp gauges and surrounding wiring cannot handle the boosted power and greatly increases the chances of a fire.Ron Francis has a full kit for nearly all muscle cars that will fit the bill, which are easy to install cleanly, and and even have pre-printed wires with full instructions. Another point Scott made to me later was that newer fuel injection systems require constant reliable voltage and highly recommended switching to a 75-95 amp one wire alternator and upgrade the wiring surrounding it. You can find out more about Ron Francis Wiring Coyote engine harnesses on their website RonFrancis.com or follow on Facebook.com/ronfranciswiring. 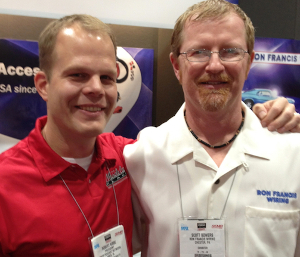 Thanks, for your great support of the show Scott! MotiV8r Update: The MotiV8r is going back once again to JCG for more work. This time it is getting radiator work as well as a new A/c condenser and some plumbing parts. The plan is to have it running by the end of this year and drive able in early 2019. Larry says he is going to getting a lot more wiring parts from Ron Francis Wiring and plans to make the harnesses “aircraft reliable” and high in technology. Heartland Nationals: Ryan Mathews won his second consecutive Goodguys autocross shootout at the Heartland Nats. I took the General Lee out on the track but only did it once. The seats are shot and I slid around a lot, still, I was not the lowest score and proves that there is something for everyone at these events. Columbus PPG Nationals: It seems there was a similar size crowd compared to the Des Moines event and a great time was had by all. Winners for the weekend included Danny Popp in Street Machine, Jason Brady’s Blazer in Truck; Bob Presta’s ’46 Ford convertible, and Mike Gailagher taking the All-American Sunday win in his 2016 Ford Focus.